Modest fashion has been a global spotlight, and Indonesia is optimistic to become the center of muslim fashion in Asia by 2018 and in the global level by 2020. To achieve this goal, the participation of various stakeholders – including designers, label owners, textile producers, shopping centers, government and private institutions, as well as mass media – is needed. This is what motivates Indonesia Fashion Chamber (IFC) with Dyandra Promosindo as the organizers of Muslim Fashion Festival (MUFFEST) Indonesia to engage several community partners like HijabersMom Community and Hijabers Community in order to synergize these stakeholders. MUFFEST Indonesia is expected to become a space for all stakeholders to integrate and build a strong communication and coordination in preparing the industry to become the center of global Muslim fashion. Being the center of muslim fashion, Indonesia must own the capacity to be the center of inspiration & trend, quality standardization, production and commercial center so this cycle will generates national economy. IFC had successfully setup the first MUFFEST in 2016 and it became the initial 'landmark' for the biggest modest fashion event in Indonesia. Now this big project continues, and it is expected to become better, bigger and marked as a prominent event in local and regional fashion scene. Deden Siswanto as the Project Director of MUFFEST 2017 said that this year MUFFEST will increase the competence and market the excellence of our local products. MUFFEST 2017 will especially display ready-to-wear craft fashion that emphasizes the richness of Indonesian local culture while also referring to the 2017/2018 Muslim fashion trend. 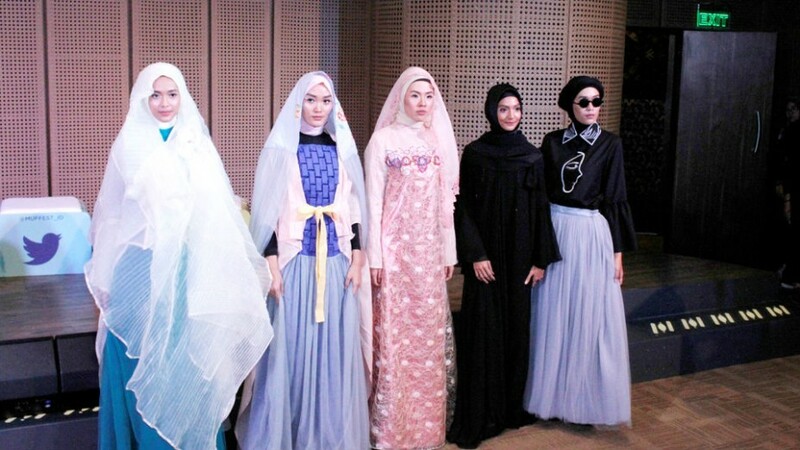 The fashion show will involve various Indonesian Muslim fashion designers – such as Irna Mutiara, Nuniek Mawardi, Hannie Hananto, Shafira, Elhijab, Si.Se.Sa, OSD, Monika Jufry, Najua Yanti, Double, etc. – as well as more than 200 models with Wardah as the official make up. Other than the fashion show, MUFFEST 2017 will also exhibit products from more than 250 Muslim fashion labels and invite both local and international buyers. MUFFEST 2017 is also supported by Zoya from Shafira Corporation (Shafco), which also supports Modest Young Design Competition. This sub-event of MUFFEST Indonesia aims to motivate more young Muslim fashion designers to create and contribute to Indonesian Muslim fashion industry, therefore can strengthen the industry even more. The winners of this competition will be given a chance to exhibit their designs at the Hong Kong Fashion Week and will be offered a contract to work as designers for Zoya. MUFFEST Indonesia is expected to be a small yet concrete and sustainable act in creating more local actors within the industry and in strengthening our base to become the center of global Muslim fashion. MUFFEST 2017 will be held on April 6th-9th, 2017 at the Assembly Hall, Jakarta Convention Center (JCC), Jakarta.